7 – 24 January 2015 at Frameless Gallery. The exhibition A Crazed Flowering is inspired by the dystopian vision of J.G. Ballard’s The Crystal World in which a crystalline entity overwhelms a jungle environment transforming it into a dazzling, bejeweled mass. The characters of the novel are inexplicably drawn towards its dark and elaborate beauty, journeying further inside the crystalline forest and eventually yielding to its irresistible force. The apocalyptic phenomenon is a prismatic growth, an unstoppable menacing transformation with the capacity to suspend time as well as life. 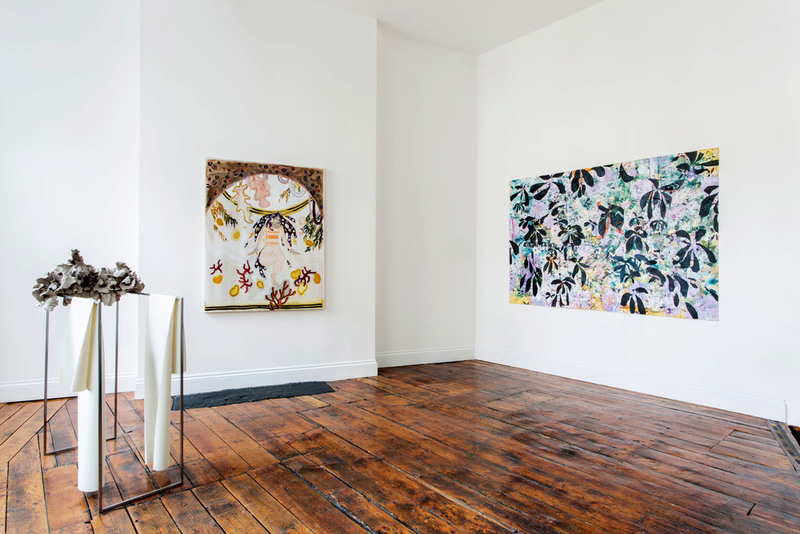 A shimmering organic overabundance runs through all three of these artists’ work. Flower painting is an anachronistic genre, as far as the main events of the history of art are concerned. These artists grasp this historical model—associated with frivolous aesthetics and notions of decay—and draw out its contemporary relevance. Through their work the floral motif has become elusive and fragmented, associated with ominous visions of degeneration. Freya Douglas-Morris’ painting hints at a distant paradisiacal terrain. With subtle abstractions and glowing colours, she alludes to alternate worlds in which nature plays a prominent part. With foliage and figures reduced to simple signifiers, these scenes are at once familiar and foreign. Rich allusive environments steeped in suggestion. Both imagination and memory feed into creating these evocative scenes. With her playful spin on time and space, Douglas- Morris blurs the line between memory and myth. Day seeps into night. Spiritual and material worlds intersect. Nicholas Johnson pushes his botanical subject matter to a frenzied state. Layering abstracted motifs, lettering and found objects he creates a dizzying surface that immerses us in an unknowable forest of signs. There are unsettling hints of a more sinister side in his decorative style. A curious enchanting darkness lures us in. He creates a psychological space that entraps us. Motifs recur as though he cannot shake them off. With his inclusion of deteriorated digital prints, Johnson hints at the psychedelia of digital space and our immersive encounter with technology. Lucy Whitford seeks out materials for their intrinsic properties, innate qualities and cultural histories. Weaving them together with her poetically conceived internal world to explore the way they resonate with lived experience. Her work hints at the profound subject matter of loss and longing, rooted in an internal narrative and mythology. Raw unfired clay appears to grow from the spaces between beams, cracks and joints of metal—fragile, organic forms tinged with a sense of defiance and dread, both beautiful and grotesque. Materials once familiar perch precariously on structures too exposed to afford safety, unearthing an intuitive exploration of the human experience that draws the viewer cautiously in. Freya Douglas-Morris is a graduate of Royal Collage of Art (MA 2013). She was selected for theCatlin Art Prize 2014 and shortlisted for the East London Painting Prize 2014. Recent solo exhibitions include Studiolo #11 ‘One place or another’, Spazio Cabinet, Milan (2014), andWorkshop en La Pan, Stage La Pan Gallery, Barcelona (2011). 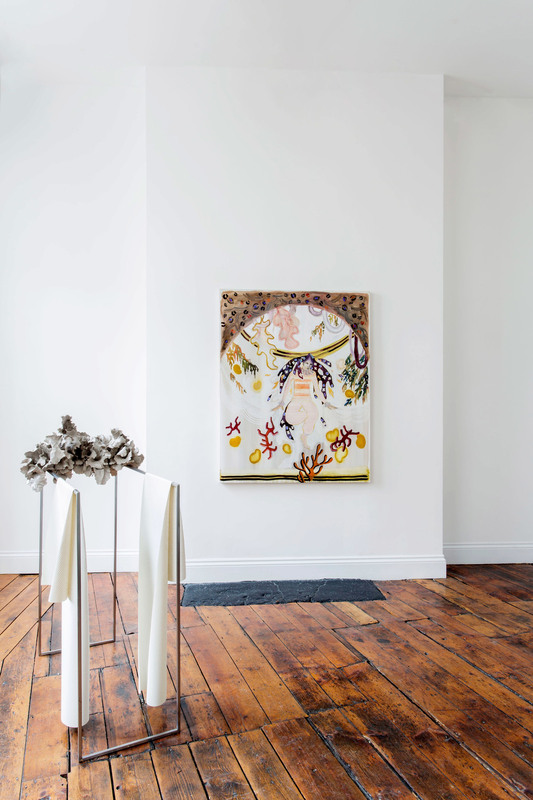 Recent group exhibitions include100 Painters of Tomorrow, New York (2014), East London Painting Prize, Bow Arts (2014), Catlin Guide, Art London (2014), New Sensations 2013, Victoria House, London (2013), and Bloomberg New Contemporaries, ICA, London (2012). Nicholas Johnson is a graduate of the Royal College of Art (MA 2014). He has been selected for the Catlin Guide 2015, was shortlisted for the Valerie Beston Prize 2014, the Chadwell Award 2014 and Saatchi’s New Sensations 2014. 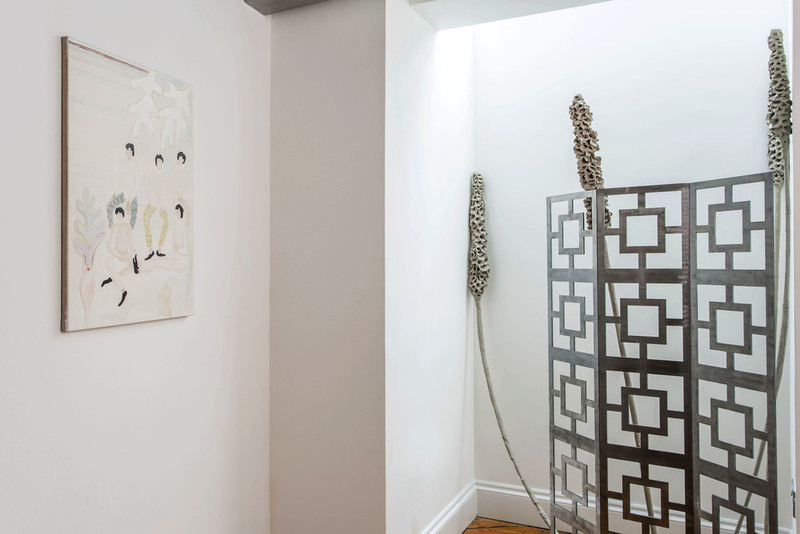 Recent group exhibitions include Saatchi’s New Sensations 2014, Victoria House (2014), Memory & Desire I. The Violet Hour, @ 37 Albermarle Street, London (2013), Lynn-Painter Stainers Prize Exhibition, The Mall Galleries, London (2013),Near that place…, Hockney Gallery, Jay Mews, London (2013) and Frozen Events, Flat Time House, London (2011). Lucy Whitford is a graduate of Chelsea College of Art (MA 2012 with distinction). 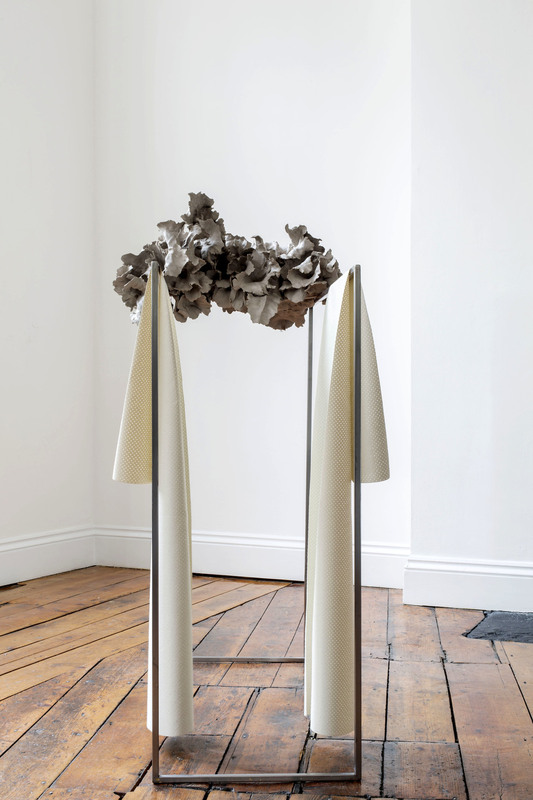 Recent solo exhibitions include Zabludowicz Invites: Lucy Whitford, Zabludowicz Collection, London (2013). Recent group exhibitions include Millington | Marriott, Poppositions, Dexia Art Centre, Brussels (2014), Slice, Hanmi Gallery, London (2013), Creekside Open selected by Paul Noble, A.P.T. Gallery, London (2013) and IN BANG SHOW OUT, The Pigeon Wing, Bermondsey, London (2012). For more information and details of the works on display, please contact Kate.